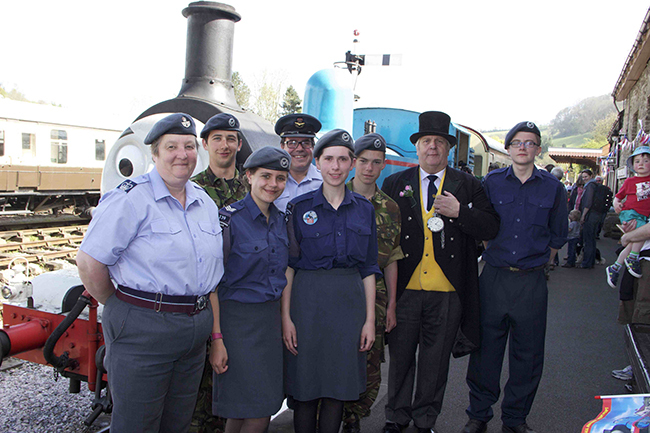 Thomas the Tank Engine made his annual visit to the South Devon Railway on the three days of the May Day Bank Holiday to visit his many friends. 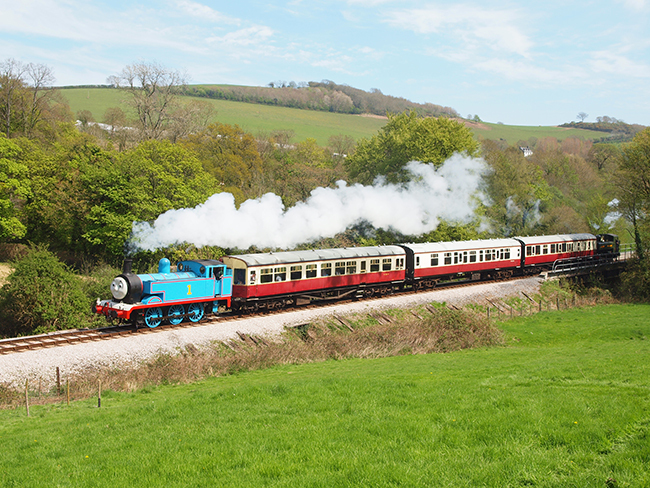 During the weekend Thomas gave shuttle rides, using three coaches, for a mile along the line as far as Caddaford, with Smokey, alias 0-6-0PT No 1369 at the other end of the train. 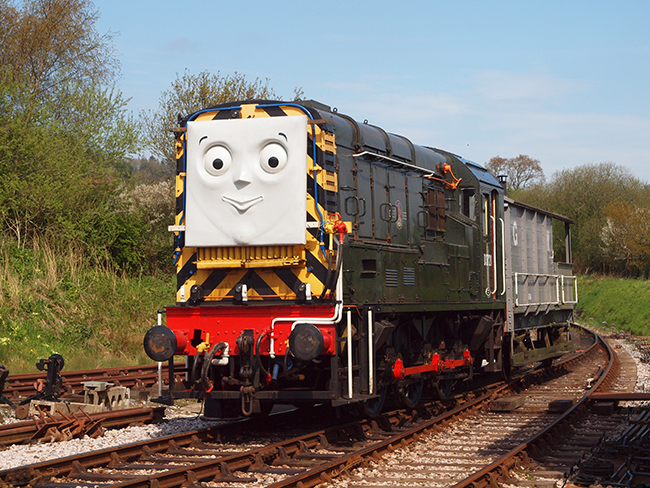 Meantime his friends - Red Duck - also known as Widgeon or L92, Julian (3205) or Diesel 10 (33 002) carried passengers to and from Totnes Littlehempston, where visitors enjoyed rides in Toad and visited the Rare Breeds Farm. At Buckfastleigh the Imagination Station at Otters & Butterflies, together with face painting and balloons in the Museum were also all included in the ticket price. 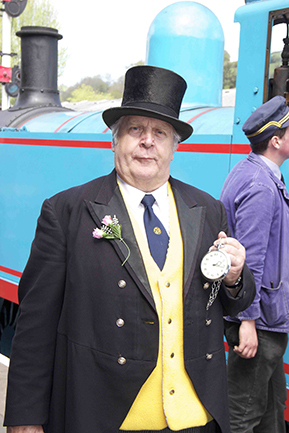 Sir Topham Hatt, alias John Keohane, supervised proceedings at Buckfastleigh, and led the re-enactments. These including giving Thomas a really good wash, filling his tanks from some leaky buckets, going fishing in his tanks, and steaming the fish for Sir Topham’s supper. 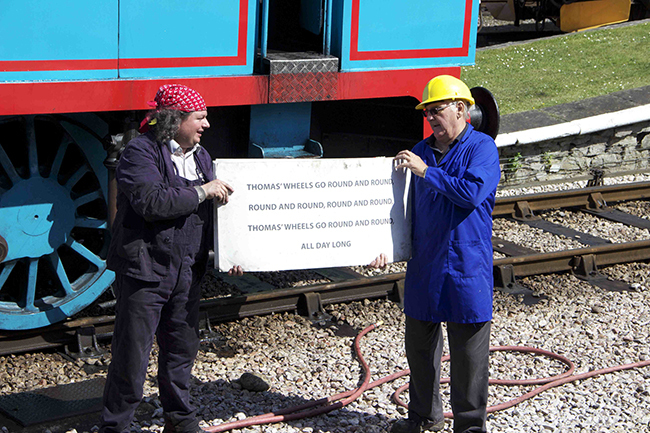 Some of Sir Topham's staff were every bit as naughty as Thomas himself, and got very wet indeed. 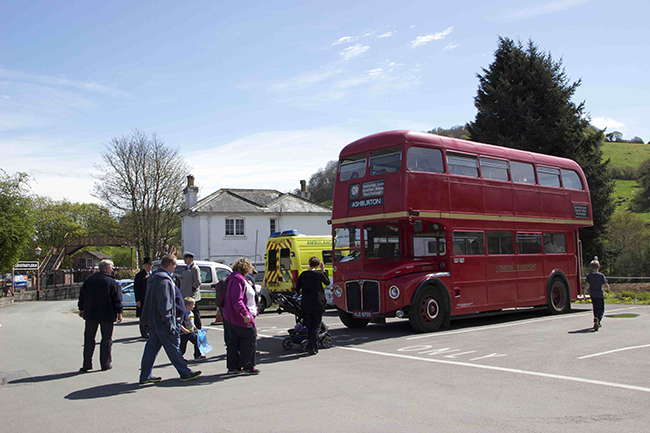 Visitors were ferried to and from the Park & Ride at Dean Court by Cousin Bertram, the red London bus, and the Air Cadets provided invaluable help all over the site. Thomas finally proved himself to be a Really Useful Engine when he had to rescue Widgeon on the last but one train of the day on Monday. L92 had run out of steam and could not get the heavy train up the bank into Buckfastleigh station - so Thomas bravely went to the rescue. As a Special Reward he was allowed to take the very last train of the weekend all the way to Totnes and back. 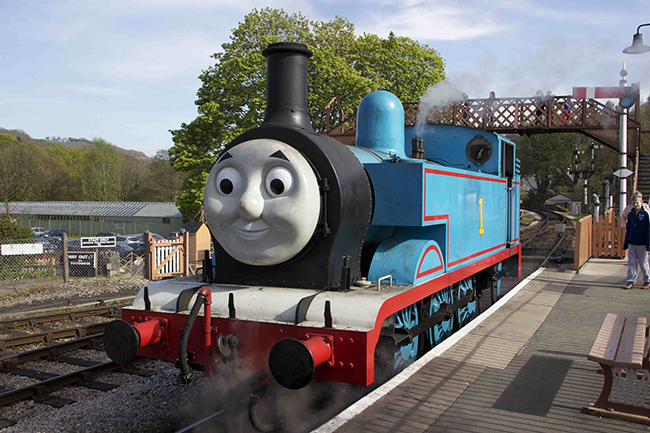 To all those people who feel that Thomas the Tank Engine is a bit beneath them: it is very popular indeed with our visitors, brings in many, many people who would not visit otherwise, and despite the high costs of staging the event contributes significantly to the railway’s income for the season. It helps to pay for all the other essential work without which none of us could enjoy volunteering on the South Devon Railway. Below is a small selection of pictures from the event. Click here for further pictures from John Brodribb and here for Tim Symon’s gallery including some away from Buckfastleigh.